Being a first time mom is really overwhelming. There are lots of things to do and prepare for which most of the time, you would be clueless about. Amidst all those preparations is one important thing that you should be ready for- filing your SSS Maternity Leave. 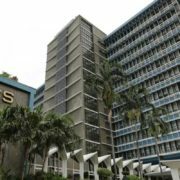 SSS maternity leave benefit is really a great help to all mothers who would need some time off work to care for their newly born and recuperate from labor. However, most first time moms are not knowledgeable about this benefit thus they were unable to file a claim. Do not make the same mistake. Here is an easy and step by step guide to help you get your privilege as an SSS member. 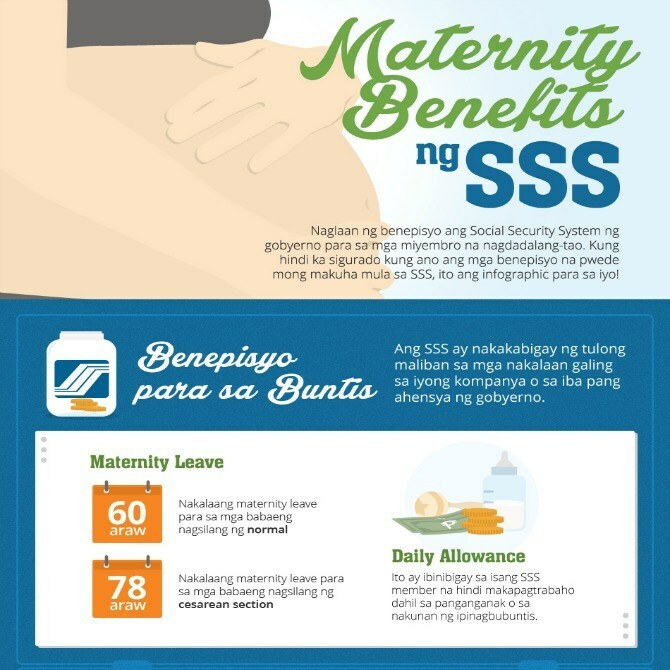 First, let us understand what exactly an SSS maternity benefit is. It is a government-mandated benefit in the form of cash allowance granted to a female member who was unable to work due to childbirth or miscarriage. Self-employed and voluntary members are also covered by this benefit. How do you become entitled to a maternity benefit? She has duly notified about her pregnancy through her employer if employed, or directly to the SSS if self-employed, voluntary member or member separated from employment. So it is important to check your contributions, or better yet keep it updated if you are planning for parenthood. How do you notify SSS about your pregnancy? Once you learn about your pregnancy, you need to give notification to SSS. It is better to do this as early as possible. Fill out the Maternity Notification Form or the SSS Form MAT-1 with your proof of pregnancy like a trans-vaginal ultrasound report. 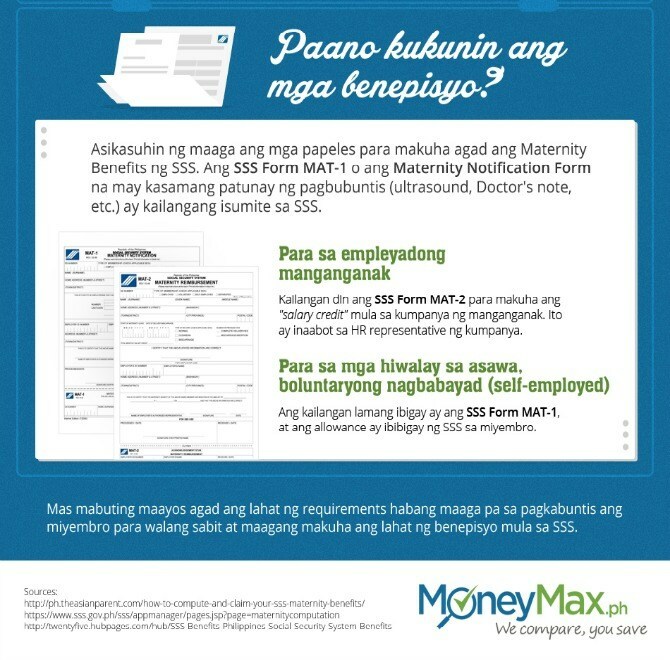 If you are an employed member, you need to fill out SSS Form MAT-2 for maternity reimbursement for your employer to provide your salary credit due from SSS which would be given by the time of your maternity leave. These forms are submitted to your HR representative who would file it on your behalf. If you’re a voluntary or self-employed member, only the SSS Form MAT-1 is necessary. 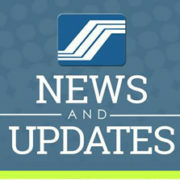 You would also need your SSS ID card or at least two valid identification with one containing a photo and signature. The cash allowance will be given directly to you. Keep in mind that the sooner you finished processing all necessary documents, the less stress you would have during your pregnancy. Good day po madam/ sir..! 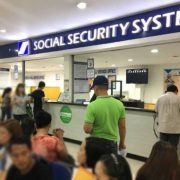 Ask ko lang po kung pwede po ba ako makakuha ng maternity benefits gamit ang sss ng mr ko dahil sa wala po akung sss..
Sana po masagot niyo ang katanungan ko maraming salamat po..